Shine Dental is happy to offer our patients an option to experience painless, relaxing, effective and very safe way to experience dentistry. Be it a tooth extraction, root canal or more complex oral surgery, we at Shine Dental make sure that you get your treatment without needing to worry about pain or your dental anxiety. Sedation dentistry, also known as sleep dentistry, is all about receiving minor and major dental treatments under the influence of sedatives. The sedatives used in the procedures keep patients calm and relaxed throughout the appointment. Patients do not experience any physical sensations, including pain. They hardly remember anything about the surgery, even after the procedure is completed. Patient Relaxation: Patient will be in a completely relaxed position. He or she does not display any signs of anxiety or panic. Patients cannot hear, smell or feel anything unusual that trigger fear. Patient Cooperation: Doctors will be in a much better position to carry out the procedure as they no longer needs to deal with the patient’s inability to cooperate because of fear or nervousness. Gag Reflex Control: One of the biggest fears of a dental patient is their gag reflex. Sedation dentistry controls gag reflex to a good extent. No Memory of Treatment: Patients, in most cases, cannot recall any events that are related to the procedure. Their brain completely forgets the surgery period, leaving no traces of the surgery or treatment. Time Saving: Fewer appointments are needed for those who opt for the sedation dentistry, making things simple and easy for both the patients and the doctor. We offer three levels of sedation. Mild Sedation: Mild sedation is used for those patients who are afraid of dental procedures. Patients remain awake or sleeping throughout the procedure. Sedative is usually administered orally. Doctor may alternatively use nitrous oxide as well. Moderate Sedation: It is used for people who have dental anxiety or those who need a long and complex dental procedure done. Doctor may use IV sedation or other forms of sedation based on the case and the patient’s medical history. Deep Sedation: Patients will be unconscious, and they may not recall the events that happen during the surgery or treatment period. There are four main ways of administering sedatives. Inhalation: A patient will be asked to inhale nitrous oxide a.k.a. laughing gas. Oral: In this common and most used sedation technique, patients are required to take an oral sedative pill an hour before the appointment or as advised by the doctor. Intramuscular Sedation (IM): Sedative drugs will be injected into the upper arm or lower thigh muscles. Intravenous Sedation (IV): A sedative drug will be injected directly into the veins. 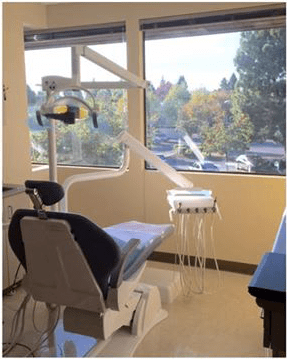 If you are here on the webpage to seek sedation dentistry services, give us a call at 510-791-3144 or make an appointment here.